We believe that some of the greatest things in life are yet to be discovered. That’s why we matched traditional gin botanicals with a rare Tasmanian native spice to create a refined and elegant gin that is unlike any other. 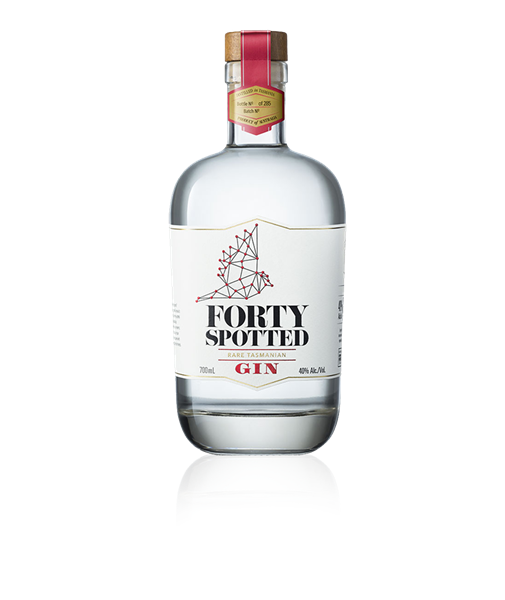 Forty Spotted is hand distilled in small copper pot stills. We favour the steeping method of gin production and use the traditional botanicals of juniper berry, coriander and lemon peel and incorporate something a little bit special to give our gin its contemporary style and unique finish. Tasmania is ideally situated to make malt whisky, and yet 150 years after the last licenced Tasmanian distillery closed its doors, it took a whisky lover to realise the environment was perfect. Bill Lark realised that everything you need for a world-class whisky was in Tasmania – rich fields of barley, an abundance of wonderfully pure soft water, highland peat bogs, and the perfect climate to bring all the ingredients together in a marriage of science, art and passion. The vision of producing Tasmanian malt whisky was born on a trout fishing trip in the highlands of Tasmania. Bill’s father-in-law Max produced a wonderful bottle of single malt, and as they enjoyed a drink in the park at Bothwell, surrounded by Georgian buildings, barley fields and the gentle flowing of the Clyde River, Bill remarked to Max, “I wonder why there isn’t anyone making malt whisky in Tasmania”.